Claimjumper Condos were built along Airport Road back when many locals expected an airport to be built on the land that is now home to public education facilities like Upper Blue Elementary and Colorado Mountain College. It is located at the base of Shock Hill, currently across from the Rec Center, which was also built after it. Claimjumper condos for sale are located within walking distance of the library, elementary school, rec center, City Market and free Breckenridge ski bus stops. The town-owned recreation center with indoor and outdoor tennis courts – include the county’s only clay courts - a large indoor pool, a track, basketball and fitness areas and classes is just across the street from the Claimjumper Condos. If you are looking for a condominium with a convenient location to everything Summit County has to offer, look no further than Claimjumper condominiums. Read more about this fascinating community, or start your search with the Claimjumper condominium listings below. All the units are the same size, configuration and layout, and are condos in the legal sense that the land is held in common, but the style of the units are more like town homes. They have the benefit of common ownership like a swimming pool on premise. 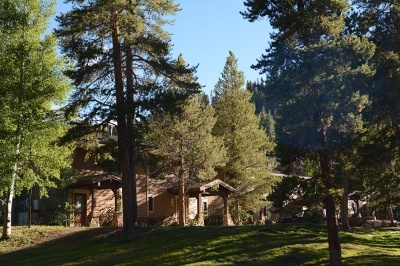 From the roundabout on the north end of Breckenridge take the most traveled route to stay onc Claimjumper Condos are close to the north entrance of Breckenridge Follow Hwy 9, which becomes Park Avenue and continue a very short distance to the first light. City Market Center will be to the left. Turn right onto Airport Road and continue for about ½ mile to the Claimjumper Condos and turn left into the entrance that leads to the Claimjumper units that are a short distance from the road. 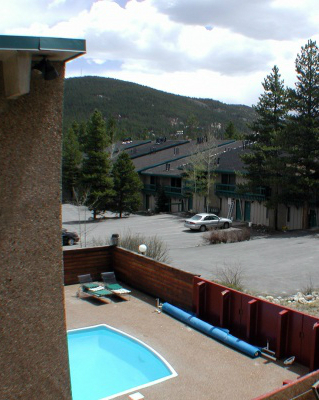 Do you have any questions about owning a condo in Breckenridge, CO? Get in touch with us to speak to a local real estate expert from Breckenridge Associates.